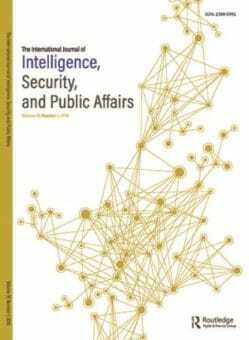 The next issue of The International Journal of Intelligence, Security, and Public Affairs will feature an article by Dr Roger Mason. The article is titled Wargaming: Its history and future. The article reviews a thousand years of wargaming history and developments. Dr. Mason explores game development from the Romans through the Middle Ages to the 1940s. The author describes the renaissance of wargaming during the Cold War and current applications in government, business, and political/military affairs. Dr. Mason proposes future applications of wargaming as a tool for testing hypotheses, developing decision alternatives, and stimulating innovation. 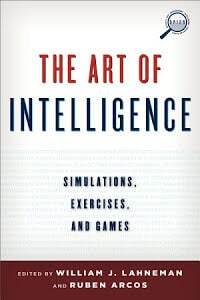 In 2019 The Art of Intelligence: Simulations, exercises, and games Vol !! will be published by Rowman and Littlefield. William Lanneman and Ruben Arcos will edit the edition. International scholars and practitioners in the field of simulations and games were asked to submit a chapter related to their research. Dr. Roger Mason has prepared a chapter titled The Intelligence Sovereignty Game. The Intelligence Sovereignty Game was developed for the student curriculum at the Institute of Intelligence Analysis and Democratic Systems at Juan Carlos University, Madrid. Roger Mason and Joseph Miranda are the game designers. The inspiration for the game was the coordinated Paris terror attacks in 2015. The game involves players representing various intelligence services in Europe. The players must conduct intelligence operations while dealing with a constantly fluctuating crisis index that could quickly turn into a major terrorist crisis. Players must choose between pursing their individual intelligence goals and cooperating to prevent a crisis where everyone in the game loses. The game explores the challenges of EU members maintaining their intelligence sovereignty while collaborating in the war on terror.